It only takes about five minutes on LinkedIn to put together a perfect list of people you might want to meet—and you don't even need a premium membership to do it. But I'm always amazed at just how many self-proclaimed experienced LinkedIn users do not know how to do this. 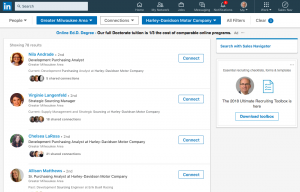 Therefore, I'm going to show you just how simple it is to do it with the current free LinkedIn user interface. 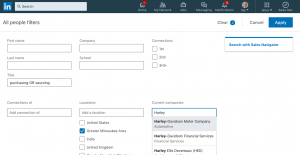 At this time there are fourteen available filters (e.g., title, locations, current and past companies) when using LinkedIn on your desktop and seven available filters when you're using the LinkedIn mobile app. 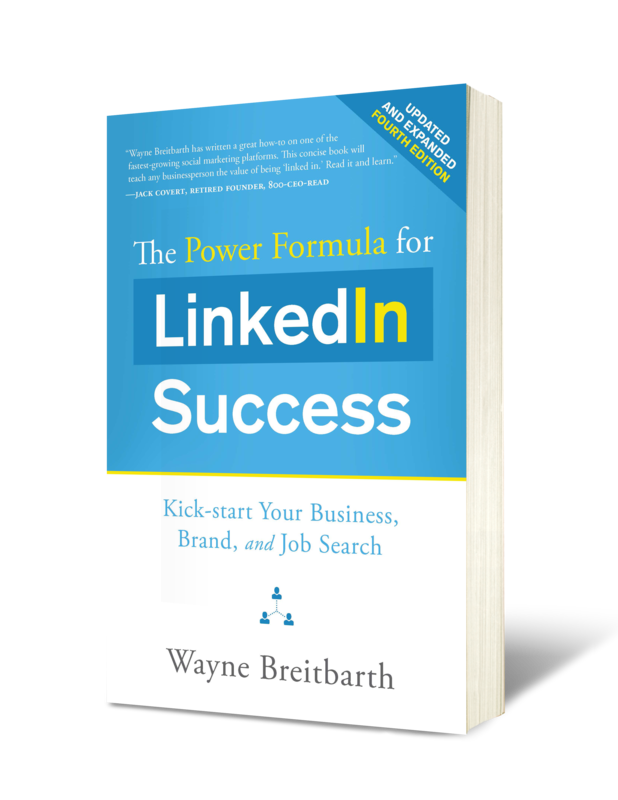 These will help you quickly narrow down the 600+ million person LinkedIn database to the exact right list for you. 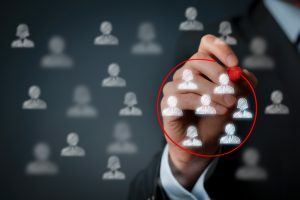 Whether you're looking for new customers, donors for your nonprofit, or a great new job, these simple steps will help you build the perfect list of prospects to reach your personal or professional goals. 1. Put your cursor in your top toolbar search box and select Search for People when the drop-down menu appears. 2. Click the words All Filters in the white toolbar that appears below your top toolbar. 3. Put the words you'd like to search for in the appropriate filter boxes or check the box if your desired word(s) already appears under a filter category. 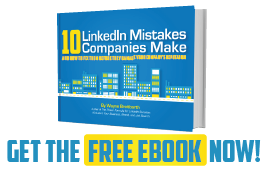 Use LinkedIn's Boolean search rules so you get the best possible list. For instance, if you search for executive vice-president, you'll get people who have executive and/or vice-president on their profile. If you search for "executive vice-president" (with quotation marks), you'll get only people who have executive vice-president on their profile. When you've entered all your words and checked any applicable boxes, click the blue Apply button. For example, if I am looking for people who work at Harley-Davidson with a current title that includes the word purchasing or sourcing, my entries would look like this. LinkedIn then gives me a list of 78 people who meet those search criteria. Everyone who does this search exactly as I've done it will get a list of 78 people, but the order of the list (LinkedIn calls this relevancy to the searcher) and access to full profiles (currently you can view the profiles of 1st degree, 2nd degree, 3rd degree and fellow LinkedIn group members) will be different for each person who performs the search. Getting your perfect list is just that simple and only takes about five minutes, but what should you do next? Check out my recent article How to Improve Your Chances of Getting a Response on LinkedIn to learn tips and tricks for capitalizing on the list you receive.